Home » Opinion » How Do Interest Rates Affect Debt Funds? Changing interest rates have a great effect on the capital market and thus on financial products. From bonds to bank loans, varying interest rate affect the attractiveness of every debt instrument. Thus, it is essential to understand how interest rate works and how it impacts your portfolio of debt instruments. A mutual fund that invests in fixed income securities is known as debt funds. These funds invest in instruments such as Treasury Bills, Government Securities, and corporate bonds that are of the different horizon. These securities come with a fixed maturity and offer fixed interest rates. The instruments in which a debt fund invests money bears a credit rating that is assigned by independent rating organizations (such as CARE, CRISIL, etc.). These ratings signify the risk associated with the entity issuing the security. Higher is the rating; lower is the risk. What Is An Interest Rate And Why Do Interest Rate Change? 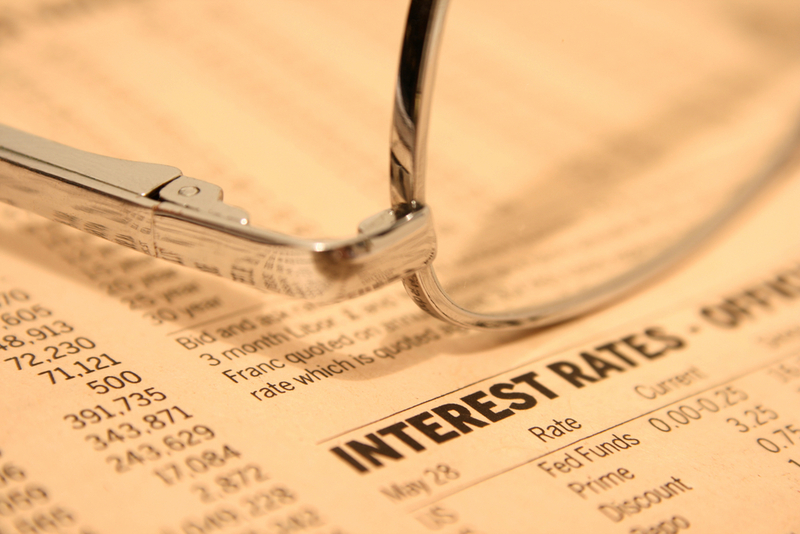 The term “interest rate” refers to the specific rate that is set by the Central Bank of an economy. For the Indian economy, this rate is known as repo rate and is determined by the Reserve Bank of India (RBI) in its bi-monthly monetary policy. The RBI takes a stance of the economic situation of a country and accordingly determines the interest rate that becomes the base for banks and other financial institutions while lending. The RBI raises and lowers the interest rate to control inflation in an economy while allowing growth in the economy. If the rate is significantly low, borrowing becomes cheap which allows a rapid inflow of cash in the economy. This results in prices moving north. This movement in the price of commodities or any product is known as inflation. On the other hand, if the interest rate is very high, borrowing becomes an expensive affair, and the economy suffers because the businesses are unable to fund growth and consumers are unable to afford cars and homes. What Is The Impact Of Changing Interest On Debt Instruments? Bonds are the simplest example if you wish to understand the impact of changing interest rates can have on investment returns. Bonds are the simplest form of debt instruments that are issued by governments, municipal bodies, and corporates to generate funds. In simple words, when an investor invests in a bond, they lend money to the party issuing it in exchange of a fixed repayment at a later date and with guaranteed annual interest payments. The interest payment that is received periodically is known as coupon payment and the interest rate according to which the coupon payment is made, is called coupon rate. Similar to other types of debt, such as loans and credit cards, change in the repo rate affects the bond interest rates. When interest rates rise, the value of previously issued bonds with lower rates decreases. This is because an investor who is willing to invest in a bond would not purchase the old bond which is offering say 6% coupon rate if they are getting bond with a coupon rate of 8% for the same price. To make the old bonds attractive, the cost of these bonds with lower coupon rate declines. Alternatively, when interest rates go down, the value of previously issued bonds bearing higher coupon rate increases. What Is The Impact Of Changing The Interest Rate On Debt Mutual Funds? For mutual funds, the concept gets a little complicated because mutual funds are diverse by their objective. However, as far as debt funds are concerned, the interest rate and the impact on the bond price relation remains simple. Generally, the bond funds perform well in the event of declining interest rate. This is because when the interest rate falls, the securities present in the fund’s portfolio tends to have a higher coupon rate than the newly offered bonds. Thus, the value of the portfolio instruments tends to increase. Remember that the life of a bond remains an important parameter to watch out for. Bonds nearing maturity (for example, within a year) tend to bear little impact by the change of interest rate. This is because, at maturity, the bond issuer must pay the full par value of the bond to the bond owner. As the maturity date approaches, the market value of a bond converges with its par value. On the other hand, bonds with many years left until maturity can be significantly impacted by changing rates. Thus, short-term debt funds, money market funds are less vulnerable to the ravages of interest rate volatility. Does The Interest Rate Make Investing Less Lucrative? We have seen the impact of changing the interest rate on debt mutual fund. In general, when the interest rate is rising, it typically makes mutual funds, and other investments, less attractive. This is because the cost of borrowing increases with an increase in interest rate and individuals and businesses has less money to put in their portfolio.